Retell: Every day students tease Maleeka Madison. Whether it be her good grades, her homemade clothes or her dark skin, it seems like the world is against Maleeka. She does others’ homework in exchange for friendship. That is until Miss Saunders, a new teacher from the business world, challenges Maleeka to think for herself. My Thoughts: This is a fantastic text to read aloud in a middle school classroom. I’m not sure that I would read the text as a whole to everyone in an upper elementary grade classroom. I would encourage certain fifth grade book clubs to read and discuss this book. I plan to read certain sections from this book. For example, Maleeka keeps a journal which she writes from the perspective of an African girl aboard a slave ship. There are several scenes throughout the book where Maleeka’s historical fiction writing parallel’s her own life. This would be a great way to show how writers of historical fiction create characters who struggle with similar issues to their own. This is an excellent cautionary tale detailing what can happen if you refuse to let others force you into situations that you know are wrong. Retell: Trisha has a difficulty with reading. Though admired for her artistic ability, she gets teased at school for being dumb. That is until her teacher, Mr. Falker, stands up for her and teaches her to read. 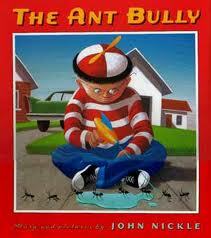 My Thoughts: This is a read aloud classic. Since I start every school year off reading this book to my class, I thought it was only proper to start my blog year with one of my favorite read alouds. Thank You Mr. Falker is one of those books that kids have heard a thousand times but never get tired of it. I usually refer to this book and reread parts of it in several units throughout the year.